We Offer High Quality Brush cutters / Crop Harvester with Metal cutting blade/ Nylon Trimmer Blade and Crop Holder (Optional). Our Brush cutters are manufactured for multipurpose use like grass cutting, crop harvesting, Rice & Wheat Harvesting etc. A stylish model with 1000 watt electric motor. It cuts hundreds of meter of grass with great speed and negligible Lab our. 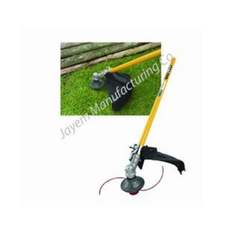 Lightweight electric line trimmer with soft start, bent shaft and ergonomic soft-grip. Cutting width 350mm. 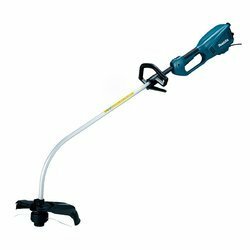 Standard Blades: Circular Saw 8"
We are offering Electric Grass Trimmer.